The water looks good and water temps are holding around 87 degrees on the causeway. Another wet year has made this summer slow around the causeway. The good news is that salt water has finally pushed into the Delta. Shrimpers are working the Blakley River and Mobile Ship Channel. Trout fishing is still very tough due to the water temps but reds are on the causeway. If you are looking for specs, you are in for a tough time. 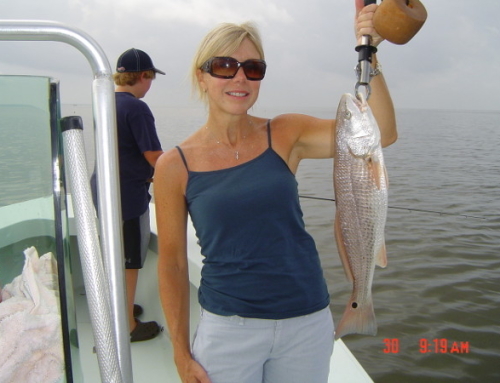 A few are being caught at Middle Bay Light and the Buddy Biser Reef. October should bring some relief from the warm water Live shrimp are a good choice on a slip cork or carolina rig. Soft plastics on jig heads in the usual colors will work for the artificial bait guys. Once the water cools into the 70’s the trout should get more active. As the water cools, try a Mirrolure Glad Shad or top water plug for some fast action. Reds have finally moved into the causeway. My favorite is a Hildebrandt spinner bait on the grass flats and along the edges of the rivers and cuts like North Pass and Turtle Ditch. Color is not very important, but I like something with a little gold in it. 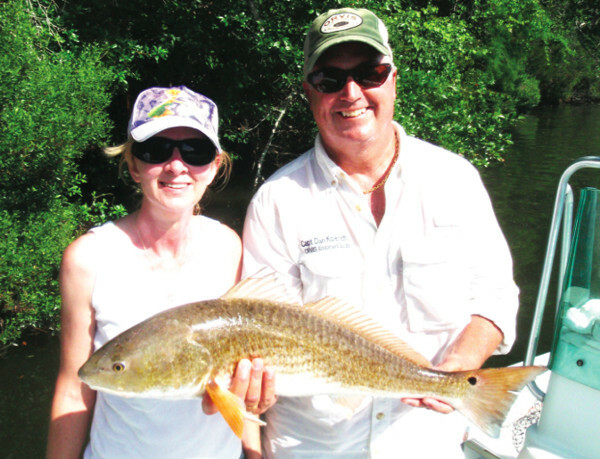 Live shrimp on a carolina rig will make a good meal for a hungry red. A live shrimp on a popping cork will work in shallower water. Flounder are also on the causeway. Soft plastics are a good choice worked slowly across the points like Tensaw Point. 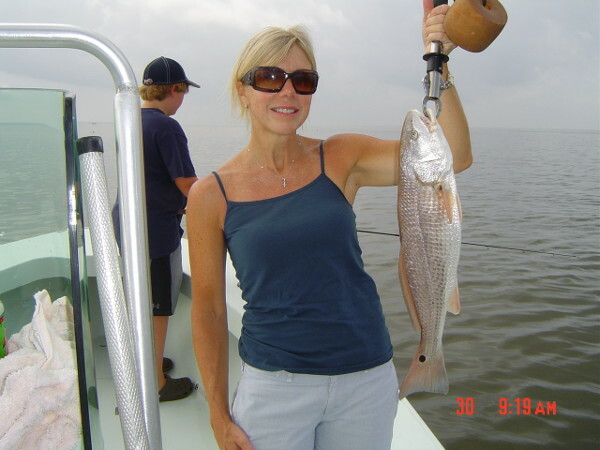 The bigger fish are being caught with a bull minnow on a carolina rig. One thing about the weather, is that October will bring cooler temperatures and that will put water temps into the lower 80’s and headed for the 70’s. Go enjoy the nice dry days and get ready for the frenzy known as November. It’s on it’s way. Capt. 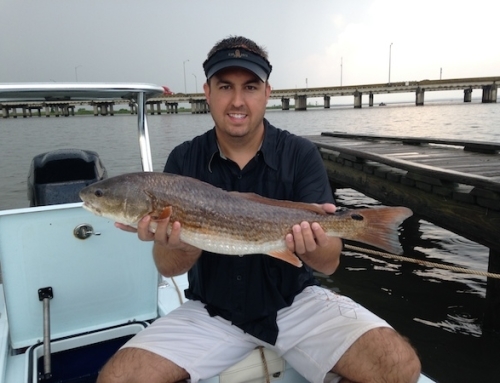 Dan Kolenich is an Orvis Endorsed Fly Fishing Guide, providing fly and light tackle fishing trips in Mobile Bay and Alabama coastal waters. 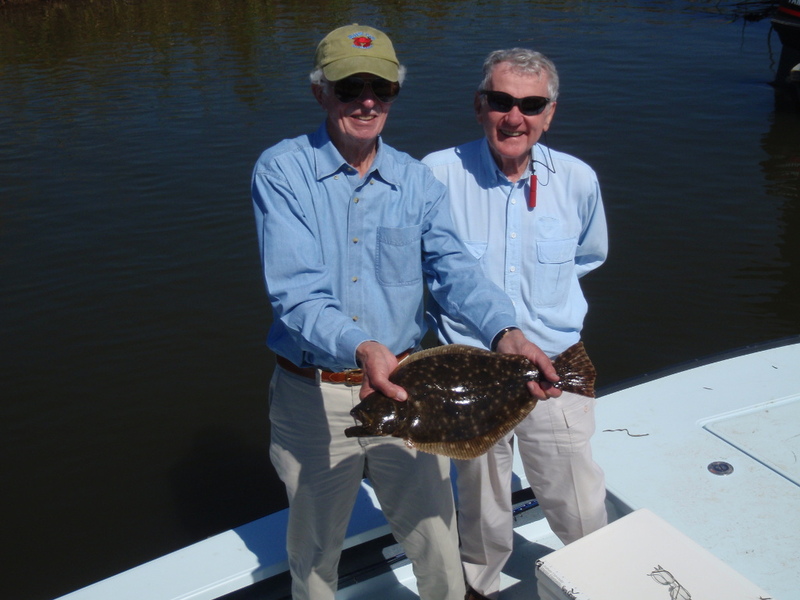 To book a trip with Dan, call (251) 422-3474.